Like many (or all) I became a true grown up by accident, or should I say misstep. The perpetration of something that I never intended to do. Could truthfully never have anticipated doing. In all my time till this point, I could I assured you without a doubt I would never be involved in. The truth is that life often takes you where you never intended to go. All those who fain the purposefulness of every action in their life are either missing god’s path or lying to themselves and others. How wonderfully unintentional most of the big changes in my life have been. As if god has lead me to a cliff but left it up to me whether or not I jump. The only thing that is sure is that nothing will remain as it is, or was. In that I can find continuity between the past present and future. I wish only to avoid tragedy if I could be so blessed and I pray daily for such good fortune. I wish to have the modest fortune to spend a long life with my partner in the constant company of our family with love, balance and good health. My childhood anxiety still influences my matured life and in that I find it hard to get a foothold on today without some amount of ambivalence about tomorrow. It is hard not to feel disconnected with my past life back West. Even the magic of the internet often only offers another empty inbox to check hopefully. That is the price one pays for the chronic isolation of self. I can hardly count it as a fault of others- now that I feel the absence more keenly. I am a bit amazed honestly at how little we came here with, how little we still have and daunted by the obstacles still to over come. As if the unrooting of my entire life has not been enough to warrant a fair shoot (if such a thing exists) at a new one. How can I complain without shame though? I have my health, my loves and good food on the table. Once again I find myself reducing my expectations to the lowest common denominator in order to reconcile my complaints with the fact that I am and have been, truly blessed in this life. To expect a life free of strife and struggle is arrogant and petty. It is always nice to feel important but judging your value or progression by others reaction to it– will almost always result in disappointment. All I can do is wake up every day and love those I spend my time with. Try to be generous and compassionate even when the world shows me no such consideration. I find myself so often in these writings coming to this same conclusion by different roads. I yearn for the chance to make a difference in my life and the life of those around me. To become more then I have been. To atone for the mistakes of a misspent youth. 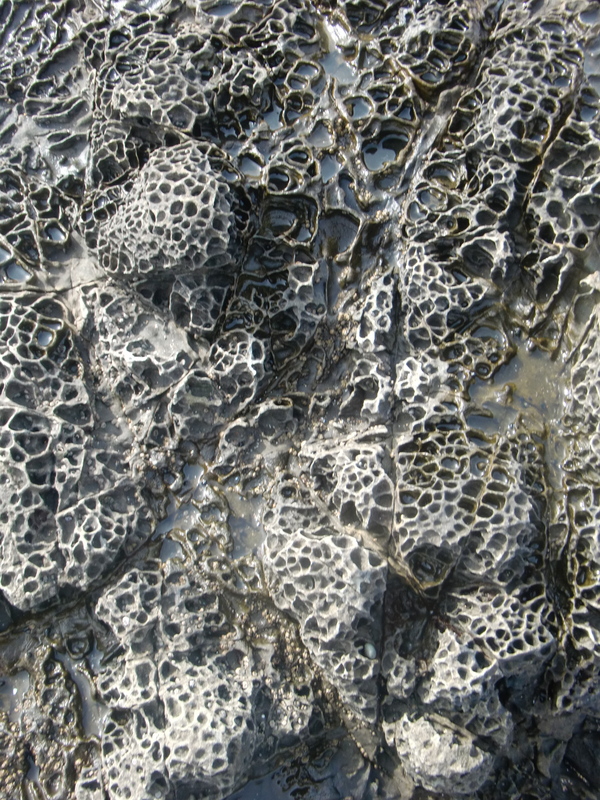 Like this erosion- wonderfully strange things take time to create… I hope the same is true for me. Once upon a time we lived on a boat.